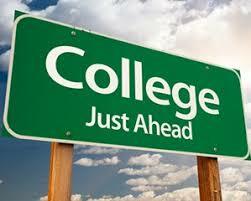 College planning, including deciding which colleges to apply to, is a complex process. Determining how likely a college is to accept a student is not as easy as looking at a few grades and an SAT score. Also, the true cost of a college is rarely the cost printed in a brochure. Many things have to be taken into account when determining the true cost, including financial aid, likelihood of scholarships, and more. Valued at $449; Available for Only $399! Planning for College Can Be Confusing. Our System Analyzes Everything for You and Helps Guide You Through the Process. Find out how strong of a candidate you are for each college, and know how to improve! 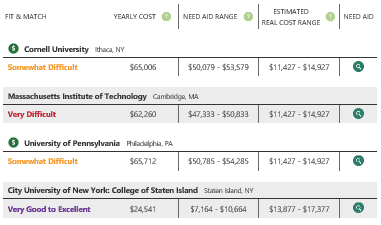 How much will college really cost you? Most people have no idea what the actual cost of each college is. Sure, information about the college is printed in books and flyers, but that isn’t necessarilly the true cost to attend each college. 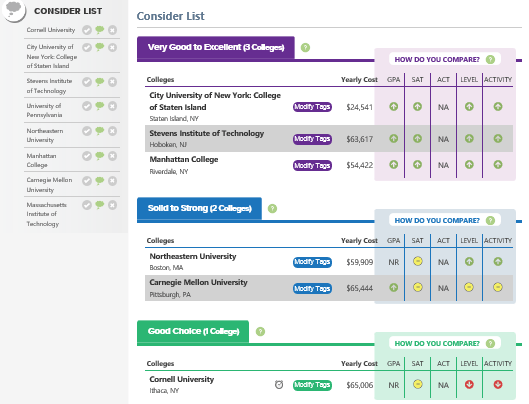 Based on previous data such as typical scholarships awarded, housing, your personal situation & more data points, our system will estimate the true cost for college for you.